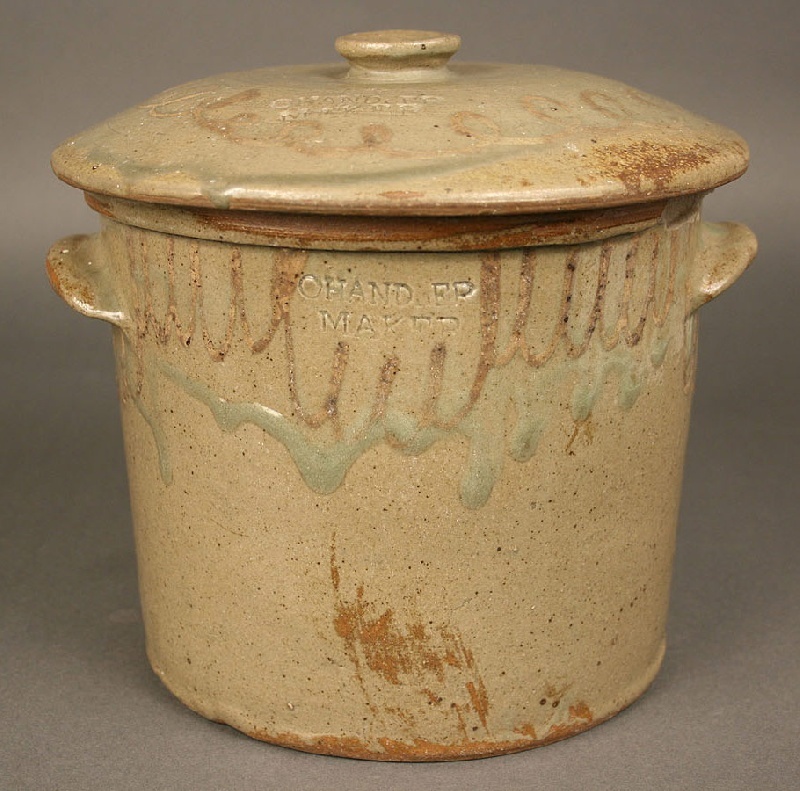 Rare Edgefield South Carolina lidded stoneware jar/crock. 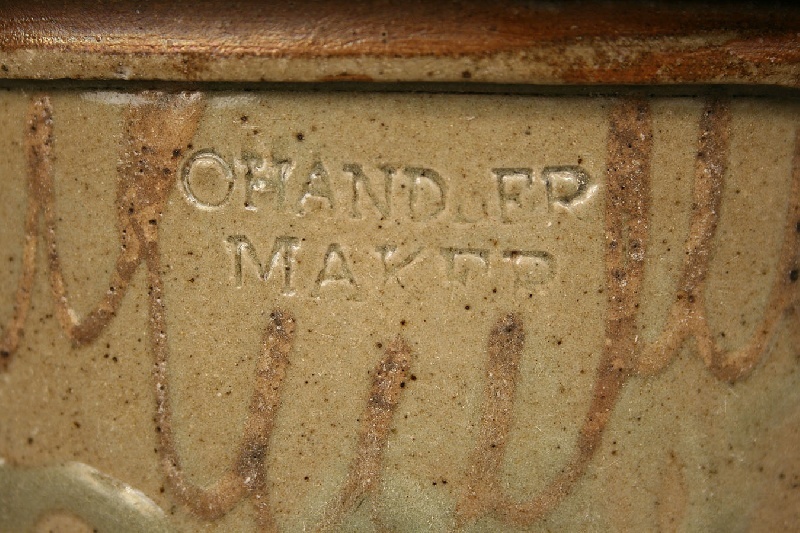 Decorated with kaolin slip swags on domed lid and jar, both lid and jar marked “Chandler Maker”. 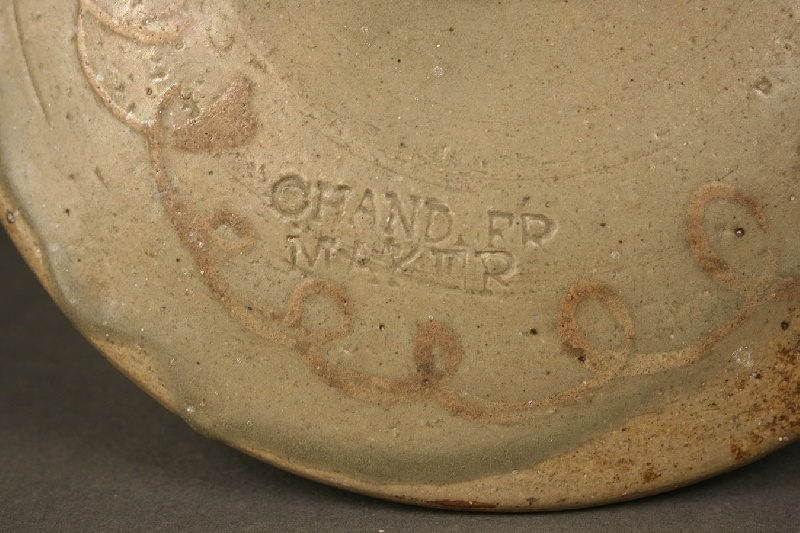 Condition – old chip to outside rim of crock, above right lug handle(does not penetrate the wall). One small chip to lower edge of lid handle. Height of jar with lid – 9″. 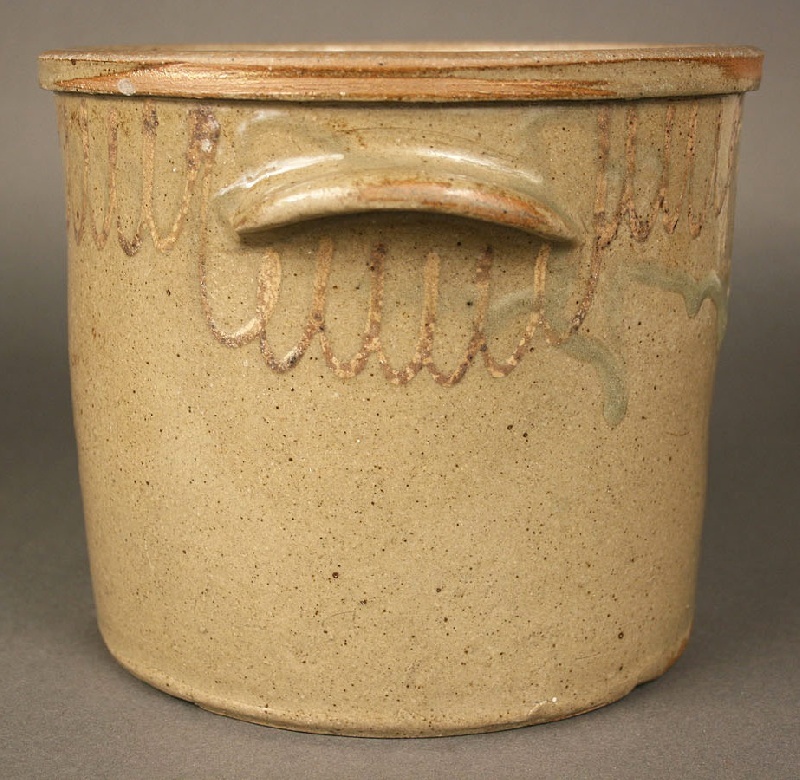 Jar 7″ height. 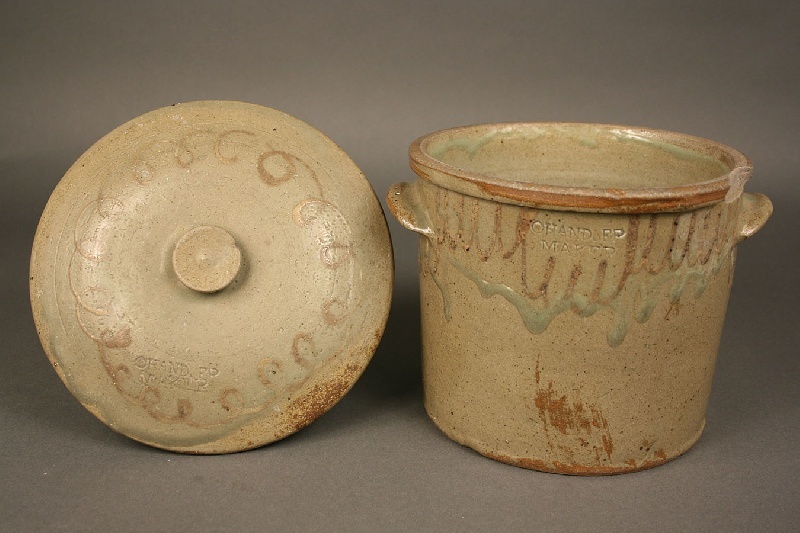 Lid measures 9 1/2″ diameter.